October 2014 was the 30th anniversary of Pinball Expo in Chicago, and we were there. We’re back from our trip and have a ton to report! 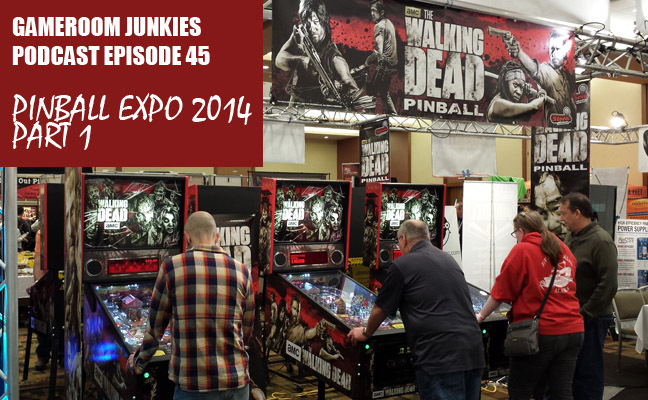 In this episode we run down the first couple of days at Expo including playing the Walking Dead Pinball, visiting the Stern Pinball factory, and meeting some cool people. In this episode we also have interviews with Andrew Heighway from Heighway Pinball and Gerry Stellenberg from Multimorphic who talk about their great new pinball games. This episode is sponsored by Arcade Expo! Check out www.arcadeexpo.com!